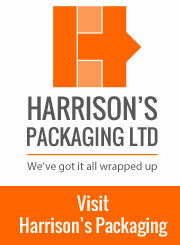 About Us Harrisons Packaging ( Envirobag) are completely dedicated to your total satisfaction. If you have any suggestions or comments please email us using the link on the store page. If you want to collect goods from the warehouse, this is at Chapel Lane Business Park, Chapel Lane, Coppull, Chorley, PR7 4NB. Shipping And Handling For all UK orders we charge a £6.99 shipping and handling charge unless otherwise stated in the checkout process. Shipping and handling charges for orders outside mainland UK vary by country. Delivery Schedule We deliver your order right away. We offer next day delivery on stock items on mainland UK orders placed before midday to most parts of mainland Britain (next day delivery is not available in some outlying areas) except for items in our Special Offers section where you should allow 3 businesss days for delivery. Please note that items are delivered between 8.30am and 5.30pm Monday-Friday. 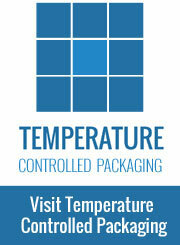 For UK orders where delivery is not available next day we will normally send your order to you in 3 business days . For orders to outside the UK delivery time will depend on the class of carriage chosen and the chosen country of destination. Guarantee We guarantee your satisfaction. We sincerely hope it won't happen, but if you are dissatisfied with the goods that are shipped, please do not hesitate to contact us. In the unlikely event that the goods we supply are faulty, damaged in transit or wrongly supplied, we will offer you the choice of a direct replacement (subject to availability) or a full refund. We will make suitable arrangements for a courier to collect the goods. If you order the wrong goods, we will exchange them for your corrected order, provided that we receive the original goods (carriage and handling paid) in original condition. If the goods you want are more expensive than those you ordered, we will charge you the difference. If the goods you wanted cost less than the ones you ordered, we will of course, refund the difference. All replacement goods are subject to our normal shipping charges. Reaching Us If you need to reach us, please email us on info@envirobag.co.uk, alternatively, you can call on +44 (0) 1772 331789 or fax us on +44 (0) 1772 914764 or write to us at Harrison's Packaging Ltd, Unit C-D Haslemere Industrial Estate, Tomlinson Road, Leyland, Preston, PR25 2DY. If you want to collect goods from the warehouse, this is at Unit C-D Haslemere Industrial Estate, Tomlinson Road, Leyland, Preston, PR25 2DY. Terms and conditions for business sales can be found here (pdf document).